Dall’ultimo post sono successe tantissime cose, politiche e personali. Sul web ne trovate testimonianza. Per riprendere la discussione politica, vi propongo un documento che abbiamo pensato e scritto con Marco Siddi e Franco Branca, che abbiamo inviato a Yanis Varoufakis, senza ricevere alcuna risposta. La visione di Varoufakis non è alternativa a quella di Stefano Fassina, a mio parere, e neanche a coloro che discutono di “piano B” per l’Europa. 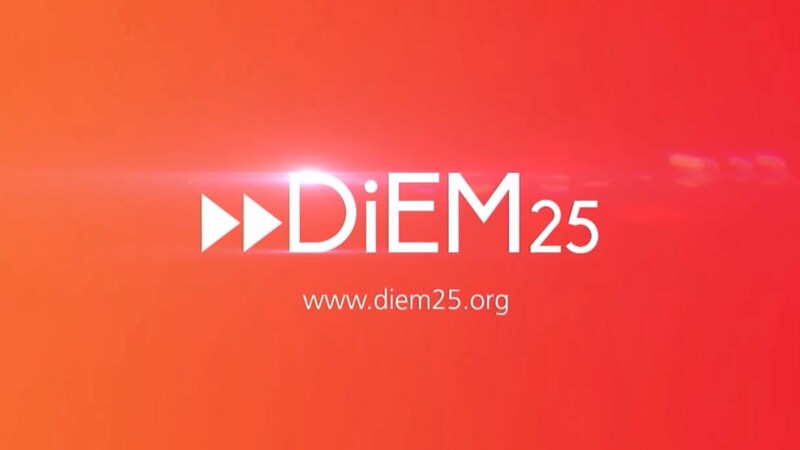 A Cagliari esiste chi si sta interessando a DIEM25. Meglio così. The economic crisis and the austerity policies of the last years have had their worst effects in Europe’s geographical periphery. Sardinia provides a good illustration of this. Unemployment in Sardinia is now over 18% and reaches 44,3% for those aged 15-29 years. The problem is no longer framed in the terms that “Sardinia has to catch up” with the industrialised core of Italy or Europe. Contrary to what happened in the past, the policies of the Italian state and of the EU do not even aim at such catch up. The current mantra stresses that Sardinia should specialise in the areas where it has a competitive advantage, such as tourism and agriculture. While this can be seen as a desirable objective, the economic policies undertaken at national and EU level clash with their proclaimed goals. The process of European economic integration has led to the concentration of wealth in a few core areas, leaving to the others either the role of providing cheap labour for the core (i.e. the Eastern EU members) or simply that of an “economic desert”, with low levels of investment and high unemployment, as in the case of Southern Europe and Sardinia. As we are witnessing now, this process breeds fertile ground for the forces of right-wing populism, which are able to easily exploit popular discontent. But this is not the end of the story. As Sardinia (and Southern Europe in general) de-industrialises and no valid economic alternatives are created, their younger inhabitants leave to look for a job. In some cases, they head to the nearby cities, but more and more often they leave for the European core – thereby causing a further transfer of human capital and wealth from the poor European periphery to the rich core. Many never return to their places of origin. As if this were not enough, the rich European core – where the political power is located – refuses to allocate investments to the periphery, with arguments such as: “why should we build a road, a railway or provide public services (i.e. schooling, banking, post offices) in areas that are scarcely populated, and where it is therefore ‘anti-economic’ to keep them open?”. The lack of basic services further fuels depopulation. This logic of uncompromising marketisation leads to the death of geographically peripheral regions such as Sardinia. Without infrastructure, without the contribution of young people who have migrated, it becomes impossible to create economic prospects even in the fields – such as agriculture and tourism – that current policies set as their main targets. Who would want to invest in sustainable agriculture in central Sardinia if there are no proper roads, no credit institutes, no young and bright minds to rely upon? There are two more consequences that I want to stress. These policies lead to the cultural impoverishment of the periphery and of Europe as a whole. With depopulation and the lack of adequate recognition of the cultural specificities of regions such as Sardinia, their cultural and linguistic heritage is progressively lost. As centralised policies have chronically failed to address the concerns of the regions, the only solution is that of devolving powers and acknowledging the right of self-determination of the regions. Scotland, Catalonia and the Basque Country have made their voices heard and signalled that, if things stay as they are now, the future spells trouble. The final consequence I want to mention is the actual outcome of European austerity-focused and neoliberal policies. While Sardinia is essentially forced to transfer its human capital and labour force (at a cheap price) to the rich core, the island has to host military bases that serve the primary purpose of furthering the economic interests of the rich core. In Sardinia, bombs are produced for sale to Saudi Arabia, a bloody theocracy that is an ally of the European elites simply out of economic convenience. This is not the kind of Sardinia, this is not the kind of Europe we want. I would like to conclude by saying that the democratisation of European decision-making, as proposed by Diem25, has to be, and will be advantageous to Europe’s periphery. For this reason, we would like to invite the leadership of Diem25 to Sardinia, to see our territory and make the needs of regions such as ours a prominent part of the political program of Diem25.